NASA says the northern polar region is stormier than expected, as it releases close-up photos from the Juno spacecraft. 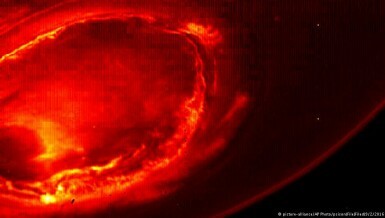 Unique views of Jupiter’s bright southern lights were also sent back. It took spacecraft Juno five years to get to Jupiter. Now, it’s closer to the planet than ever before and has finally sent the first photo. It could be better. But NASA has promised that this is only the beginning. As the Juno spacecraft zooms towards Jupiter at 200 times the speed of sound, NASA scientists on earth are nervously hoping it hits the brakes at just the right time to get pulled into Jupiter’s orbit. 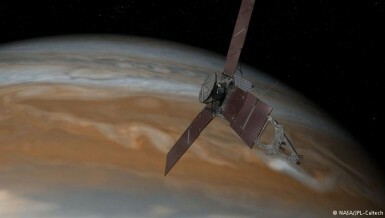 What good is the Juno mission to Jupiter? 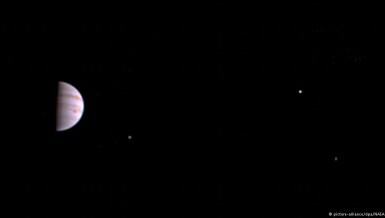 After five years and 716 million kilometers, NASA’s Juno spacecraft is just hours from entering Jupiter’s orbit. If the mission succeeds, scientists may learn heaps about the most massive planet in our solar system.